20.9 oz. 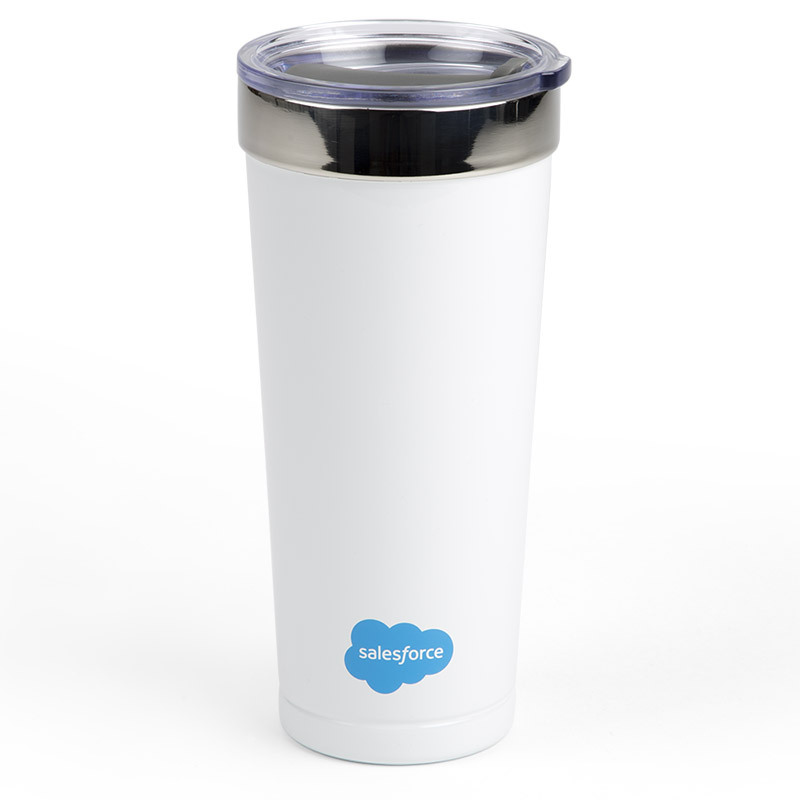 double wall stainless steel thermal tumbler with copper vacuum insulation. 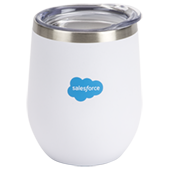 Features a clear acrylic push-on swivel lid. 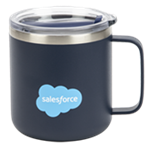 Keeps drinks hot for eight hours and cold for sixteen hours. Hand wash recommended. Do not microwave. 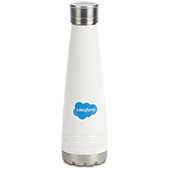 Salesforce Cloud logo imprinted on one side.